Once you have your eBay and Amazon accounts set up you’ll want to know How to Find the Hottest Products that will Sell on eBay. After all the last thing you need is to invest time and effort into your listings, pay eBay monthly listing fees and have your products sit there endlessly without a sale. You’re in it to earn a profit, not only to make eBay Inc. rich, isn’t that right? So the most important thing you need to know now is – How to Find the Hottest Products that will Sell on eBay. In the following posts we’ll teach you the techniques.There are at least THREE different techniques for sourcing products, but first you need to know the FOUR common characteristics of nearly every product you should get from Amazon. The product is “in stock” on Amazon and not less than 20 units available for sale. At the very least you’ll see on the sales page the words “more are on the way“. In the photo you see that “Only 3 left in stock”. Keep away from it or in a few hours or even minutes they’ll be gone and your eBay listing has nothing to sell. The product has high feedback ratings. Amazon works with a 5-Star system, so you need products which the customers gave it at least 4-Stars. Anything less than 4-stars means that customers weren’t always happy with it for some reason (which you can read in the written reviews on the page) and that means you might get a lot of returns on eBay too. You can filter the 4+ Star products on the left side of the Amazon sales page. 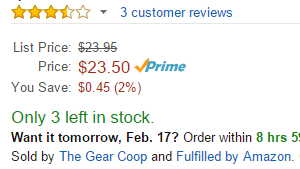 The product is selected as Prime (you can see the word next to the price). Prime products are those that Amazon stocks them in their own Fulfillment warehouses and not by a 3rd-party seller. That means the product is now in USA, it’ll ship faster and Amazon will give you better customer service for it. This has nothing to do with a Prime Membership. We are only discussing a type of product and not the service that Amazon gives for this membership. List products below the price of $35. This is because of a very important principle of consumer psychology – “customer involvement”. There is less customer involvement in products below $35. This means that the buyer probably won’t waste their time searching all over the internet for the cheapest price. If you have it and you seem to be a reliable seller, then they’ll buy it from you. On the other hand when the customer is paying a higher price for the item, they’re more likely to search on a few online sites and maybe find it cheaper elsewhere. After you become an experienced seller with lots of positive feedbacks, customers will feel comfortable buying from you even very expensive products. At the beginning though, it’s best to stick to lower-end items. Don’t sell Amazon Best Sellers on eBay. You might think that if they sell awesomely well on Amazon, then you’ll succeed to sell them well also on eBay. That’s a big mistake. First of all Amazon and eBay are completely different marketplaces with a different demographic of customers. Just because it goes well in one place doesn’t guarantee it’ll go well everywhere. Furthermore if it’s such a hot product then you’ll have so much competition and the bigger sellers will outbid you with a lower price every time. Don’t sell non-Prime products. These items might be located out of USA and even if they are local, Amazon won’t be able to give you the best customer service when there are problems. Don’t sell Add-Ons. Add-ons are usually cheaper items below $10 and Amazon will only ship them for free if your total order is above $25. Once you’re selling a few products a day, that won’t be a problem. At the beginning though, when you’re selling one or two products a day, you might get stuck waiting till $25 worth of orders come in. You can identify the Add-ons by a blue marker near the price with those words. In many search pages on Amazon you can even filter out the add-ons. These are the characteristics of any product you should drop-ship from Amazon to eBay. In the next post , How to Find the Hottest Products that will Sell on eBay – Part 2 , we’ll show you some techniques to find the best products to sell on eBay. If you learned something new from this post, please comment below or join our Facebook group here. 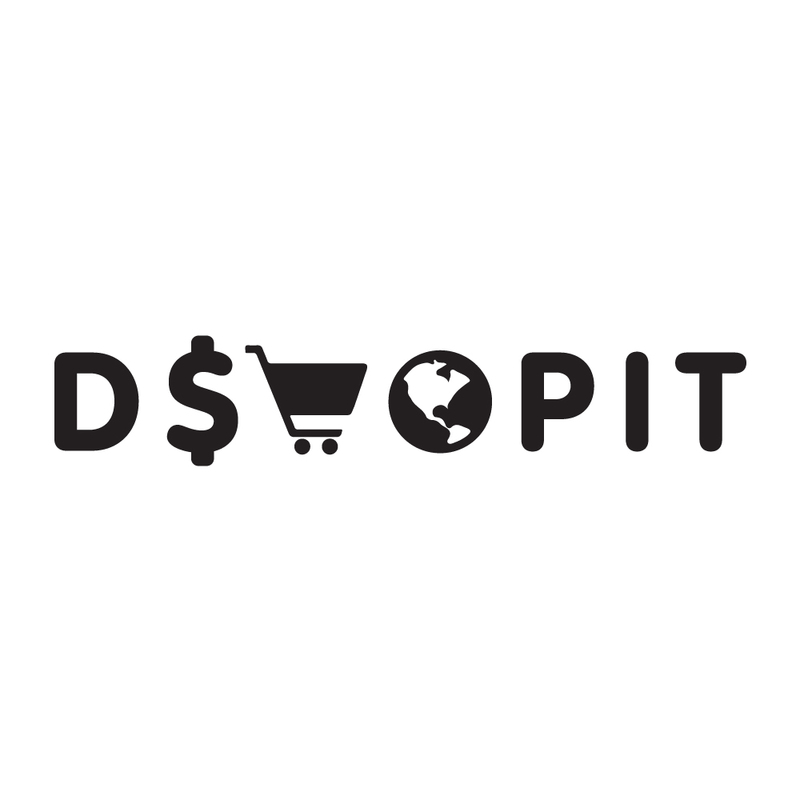 I am co-founder of DShopit, an eCommerce startup company, that has helped hundreds of small eBay business put their drop-shipping business on autopilot. 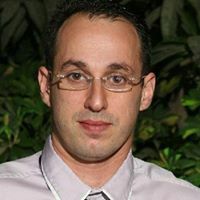 For the last 10 years, I have been a entrepreneur, online marketing coach and trainer. My online courses have helped thousands of people worldwide develop new skills and take their business to a new level.